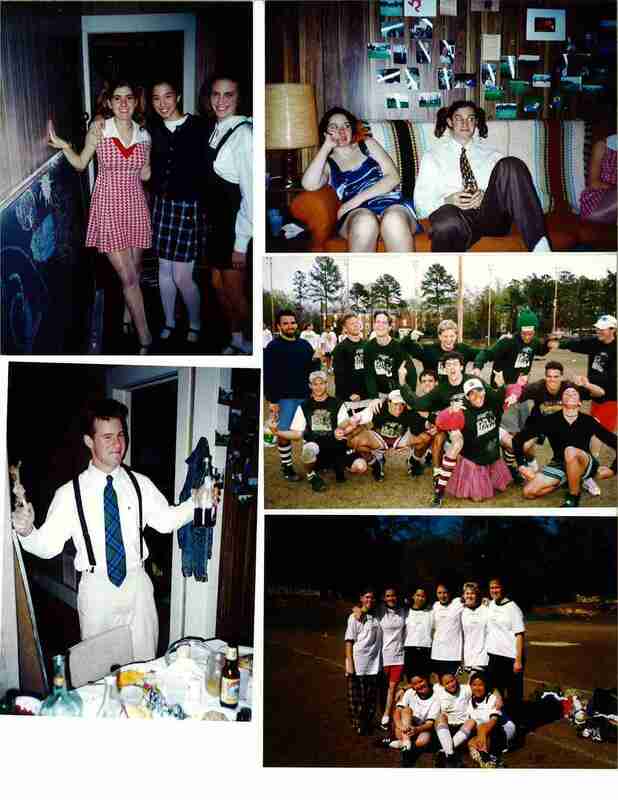 Here are a few pictures form our first thanksgiving fall of 1996 that was held at 2115 15th Street (our frisbee house for '96/97) with just a handful of us. If I remember correctly Matt Natale cooked up a great meal and the freshman/rookies dressed like kids. The tradition started here and continued to evolve into what we have now over the next handful of years. There is also a picture of the '96/'97 trudge team and the very first wanda team, shirts hand drawn by rich sanda the night before this tournament.